There are a few important question you need to ask yourself when selling your home. Noted Southern California Realtor, Leslie Eskildsen, who writes a weekly column for the Orange County Register, offers advice about selling and buying a home for everyone over age 50. 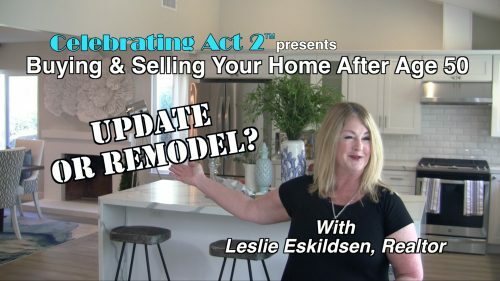 In this episode she addresses the issue of updating the interior to sell your home vs. a complete remodel.